Silent Hill is the first installment of Konami’s amazing survival horror series Silent Hill. It was originally released on the Playsation in January 1999 in North America, March 1999 in Japan, and August 1999 in Europe. Single dad Harry Mason heads to the Lake Resort town of Silent Hill in hopes for a relaxing vacation with his seven year old daughter Cheryl. The pair had a late start due to car trouble and didn’t reach the town limits until well after nightfall. Unfortunately just as the two were entering Silent Hill a female figure walks onto the road and forcing Harry off the road and through a guard rail an an attempt avoid a collision. Upon waking from the crash Harry is alarmed not only to find that has Cheryl has run off but that the town is deserted and foggy with snow falling out of season. Where did everyone go? Why are the streets crawling with monsters…and most importantly where did Cheryl go? I had so much fun making my Deadly Premonition deep dive that I was eager to try my hand at making some more let’s plays and was inspired to make a new dedicated Youtube channel. To start things off I just had to go with the game that’s not only a long time favorite, but the game that cemented my love for the survival horror genre all those years ago. I don’t mind spoiler discussions within the thread since this is a nearly 20 year old title but please keep these discussions under a spoiler tag to not ruin any surprises for anyone who might be new to the story. I also welcome any questions or comments you may have about the game or the LP. I’ll be recording and uploading as I go so I’ll be able to address anything you guys may bring up between the updates in the next video. The alleyway scene is probably one of my favorite moments in a horror game. The buildup in the intro is great in general, but they pack a lot into the alley itself. And the camera angles are fantastic as well, can’t forget to mention those. At first I really disliked Silent Hill for a long time, starting with the alley sequence. I was used to fighting monsters in games like Doom and Quake where you get a gun and just mow down every slimy, grimy thing you see. Putting the player in a position where you are unarmed, helpless, and have to die right off the bat to progress was weird and confusing to me. I found the severe camera angles jarring, in a “you got cinema in my video game” kind of way. What I failed to appreciate is that this radically different style of gameplay was working. When I found a safe area, I was always scared to leave it since I didn’t know what was out there waiting to chomp on me, and that was kind of the whole point. Today, it’s probably may favorite game of the series because my opinion on survival horror has matured. The disorienting effect is intentional, of course. The first few minutes of the game are an effective way to inform the player what’s in store and to set an appropriate tone for the rest of the game. This game really does contain violent and disturbing images that may not be suitable for some players. 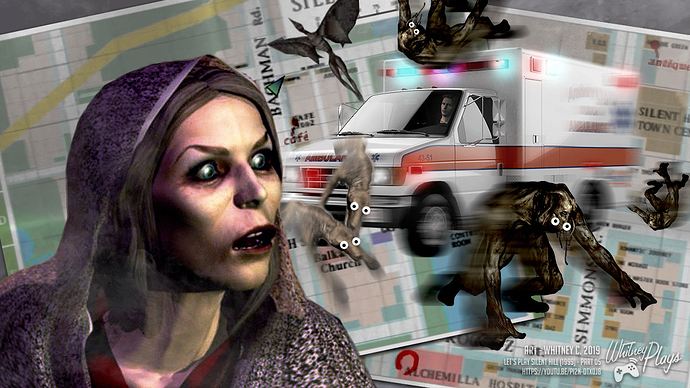 If you aren’t lured in by the events in the alley, Silent Hill may not be the right game for you. It doesn’t pretend to be something else for the first half of playthrough and then suddenly shift gears and I respect that. Thanks for starting this LP, Whitney! I’m really excited to see what’s next. I’m already learning things I never knew about the game, so this is going to be fun to explore a town I already thought I knew inside and out. After many years, I’m starting to warm up to Silent Hill 2, but that’s another LP. It’s one of my favorite little scenes as well! Thank you for checking out my new LP it was always nice to read your comments about my DP one! Part 02 is now online! Part 03 is now online! “It was foretold by gyromancy” is my favorite line in the game. The fourth floor trick is also extremely good. Possibly a little frustrating, sure, but a clever idea for a horror game. Part 04 is now online! It’s pretty impressive how they’re able to create so much tension in the fog-world hospital, despite the low-poly graphics and the complete lack of any danger (the cockroaches don’t really count). Just the low hum of the music and the tight, claustrophobic camera angles is enough to set me on edge. It’s kind of a shame we never see the non-rusty rest of the hospital, the other world version can be a bit samey at times. Although I suppose it’s to be expected that unlike the school Alessa wouldn’t know what the rest of the hospital looks like and only associate it with pain and her own imprisonment. I do wonder where some of the posters come from, the calendars look like they were copied from real life ones and the picture of the nurse looks too much like a reference to be just a random drawing. Also, just out interest, are you playing on the original hardware or through an emulator? I’m playing the game through a pcsx emulator I ripped my own game though! New episode is now online! 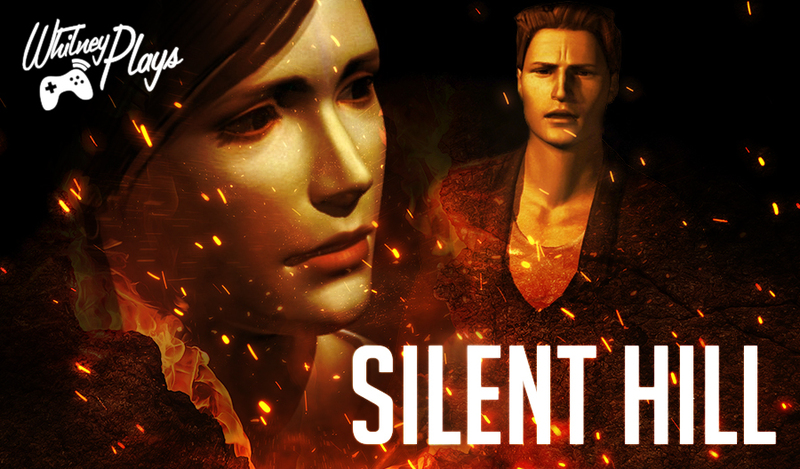 I’m glad Team Silent managed to make a good game despite everything they had to deal with, I still feel really bad for them. Sato especially; I hope he got to hibernate once the game released, he shouldn’t have needed to fight just to get proper credit. Props to Toyama, though. I suppose out of everything, getting stuck with a genre you’re not used to managed to be one of the less distressing aspects of the game’s development, but regardless it’s impressive he managed to work so well out of his comfort zone. The unique inspirations did wonders. I was super surprised to find out about all the different hardships! It’s so mind boogling to me that Sato did the CG all on his own (and that he learned on the job). It’s just unreal given how polished it is… I mean just compare his work on Silent hill with Square’s work on Parasite Eve or even Capcom’s Resident Evil 2…it has aged so much better! New episode is now online! Just one more video and this LP will be done! Oh, I didn’t know that you had an account here! I remember seeing the beginning of this let’s play as you were in the recommended channels section of TheGamingMuse. Silent Hill 1 is my go-to in terms of let’s plays. I will try to watch it when I can, but I’ve been a bit busy recently! However, it’s good to bear you’re still working on it!